Lacking the required ‘dharma’ of an action packed emotional karma. ’Brothers’ starring Akshay Kumar and Sidharth Malhotra is an easy, uninspiring, simple, obvious and boring remake of the 2011 Hollywood’s ‘Warrior’ that starred Tom Hardy and Joel Edgerton. Though the original relied on the tried, tested but trusted clichés ‘Warrior’ terrific action sequences, controlled emotional handling and the interesting eccentricity associated with Tom Hardy’s character made the kill. ‘Agneepath’ fame Karan Malhotra this time fails to do justice. What could have been a double dose of action and emotion with an action super star like Akshay and a promising Sidharth in hand? Director Karan with more resources at his disposal strangely does a ‘soutela’’ vyavahar’ (step brother treatment) to the given opportunity and delivers an unimaginative, lame experience that’s at some times is unintentionally funny too. Anyhow the presence of action king Akshay Kumar and a reformed Sidharth (even in a poorly established character) beats up the flaws to a certain extend avoiding any negative feedbacks at least from the diehard fans. But beyond star power and favorable holiday weekend, ‘Brothers’ ability to deliver a knockout punch by the merit of its content seems difficult. 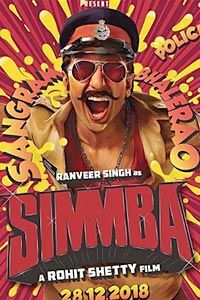 A veteran MMA (Mix Martial Arts) fighter Gary (Jackie Shroff) releases from Jail and is received by his younger son Monty (Sidharth Malhotra). 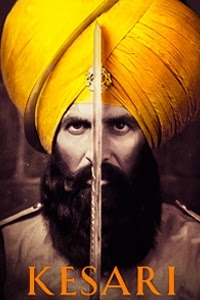 Elder son David (Akshay Kumar) doesn,t give any eye of concern to his father and half brother Monty. 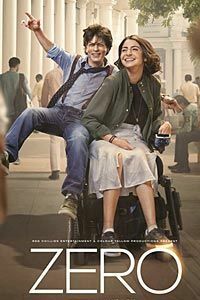 The Indian adaptation of Gavin O'Connor and Cliff Dorfman original story by Ekta Pathak Malhotra has a major flaw in ignoring and not properly establishing the character of the eccentric younger brother as seen in original. If this was deliberate to please Akshay Kumar’s super star status and control the exposure of promising Sidharth Malhotra then even worse. Anyways the story moves further elder brother David is living with his 6 year old daughter Maria - suffering from a serious disease and wife Jenny (Jacqueline Fernandez). The ex MMA fighter works as a Physics professor and when needed goes back to the world of blows, bone crunching and fighting as the underground fighter as such fights are banned in India. An entrepreneur Peter Breganza (Kiran Kumar) reforms MMA and gives it a facelift by organizing the world renowned 'R2F' tournament (Right To Fight) in India, that boost a prize booty of a whooping 9 crores. 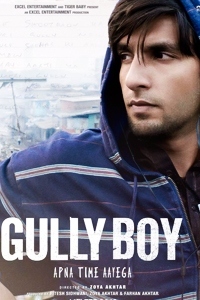 Monty - already an underground street fighter wants to enter and win back the pride and honour of his father. David fired from his job as a physics professor due to his street fighting coming out in open has no other option but to enter and win the prize money to take care of his daughter’s disease. The final reels sees David and Monty standing as opponents on the ring for the grand finale and who wins..
Akshay Kumar in terrific form. Gets the best action scenes. A reformed Sidharth Malhotra, a fantastic Jackie Shroff after a long time and Shefali Chaya all of them give a winning performance. The work out sessions of Akshay and Sidharth are energetic. That’s the saving grace of this sluggish, overblown remake. The writer and the director fail to establish the conflict between David and Monty. The lethargic pace makes this 148 minute saga a boring tiresome watch. Taking too much time to come to the point with the most ill timed item song featuring Kareena Kapoor popping up from nowhere at crucial time. Symbolizing the plastic, corporate spread sheet and unrealistic approach by the makers. An item song is needed to boost marketing and music rights so here it is. The action is alright but for grapple enthusiasts it has nothing exciting to offer. They will find WWE episodes and videos more exciting. Ekta Pathak Malhotra tries to adapt it to Indian sensibilities but fails, the setting, environment lack the Indian colours. Jacqueline Fernandez is reduced to a show piece and her crazy wild reactions to Akshay’s fight scenes are unintentionally funny. Ditto for school principal played by Kharbanda’s funny jump of joy in excitement. Tried, tested but trusted clichés if not established and done with less conviction results in unintentional humour and sadly Brothers most significant and moving part turns into an over the top amusing event instead especially during the climax. What could have being a strong shoulder turns into tears of disappointment and let down. Baju bane aasoo - we expected much more from the reliable stables of Dharma, and Malhotra. Conclusion: ‘Brothers’ is a big disappointment. 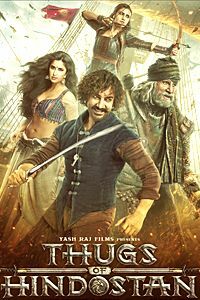 The easy, uninspiring, simple, obvious and boring remake of Hollywood’s ‘Warrior’ struggles to deliver as an action packed emotional family drama even after a terrific Akshay and reformed Sidharth. Still you can watch it if you are an Akshay, Sidharth die hard. Else take your call.